Stewart discovered yoga initially through his training as an Actor at Drama School. Awareness of breathing more consciously had a profound effect on his life and he has since dedicated his time to exploring every aspect of yoga. Stewart is a certified Jivamukti teacher having gained his 300 hour qualification under the guidance of his dear teachers, Sharon Gannon and David Life, in New York. His initial 200 hour qualification was with yogahaven, London, where he now assists on their Teacher Training Course. 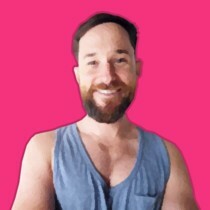 Stewart also teaches Vinyasa based classes, workshops and retreats that can accommodate all levels of experience. Stewart has an interest in the practice of Yin yoga and the benefits that can be gained by complimenting this with a more dynamic practice. Awareness of breath, mindful movement and intention hold a strong focus in his classes; all of which is held lightly and playfully. yoopod is your online Pilates, Yoga and Mindfulness studio. Access hundreds of classes by the best teachers, whenever you want and wherever you are. Our classes are filmed with you in mind and our teachers are chosen for their ability to deliver clear and well-explained sequences. Whatever your reasons for practicing and whatever level you’re at, our carefully-curated library of online classes will help you achieve your goals.